Welcoming people living with dementia along with family, friends and carers to the second of our special screenings. Working in partnership with the Gatehouse Dementia Hub and the Dementia Action Alliance. This event is open to all but we particularly invite people living with dementia and their families, friends and carers. We aim to provide a relaxing experience to share together and an opportunity to meet other people in a similar situation. What makes these screenings special? The lights will be left on low and you are all welcome to move around, talk or sing along as you wish. There will be a 20 minute interval halfway through the film and the chance to buy ice-creams. Free tea, coffee and biscuits will be on offer before the screening from 10.30am so that you can have a chat with others and get to know the space. Why are we doing these screenings? We want to ensure that we are accessible to the widest range of people as possible and we're really excited to be able to incorporate showings specifically aimed at those impacted by dementia. TICKETS FOR THIS SCREENING ARE ONLY AVAILABLE BY PERSON IN ADVANCE FROM THE CINEMA. Please email andrea@abbeygatecinema.co.uk for further information. 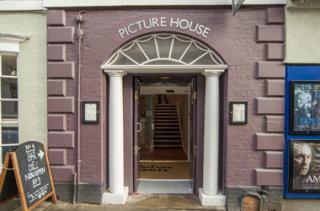 Opening Hours Mon-Sat from 10am, 11am on Sunday Log onto website for cinema times.